Posted on January 28, 2014, in Photography and tagged 365 photo project, black and white photography, cemetery, chicago, chicago illinois, graceland cemetery, melinda green harvey, monochrome, one day one image, photo a day, photography. Bookmark the permalink. 6 Comments. Thank you, John. I have onOne Perfect Photo, but on this shot I used Nik Collection’s Analog Efex Pro, which I use more often than Perfect Photo, mostly because I’ve had it longer and am more familiar with it. Beautifully framed. The statue is a bit more mysterious with this focus. Great shot. 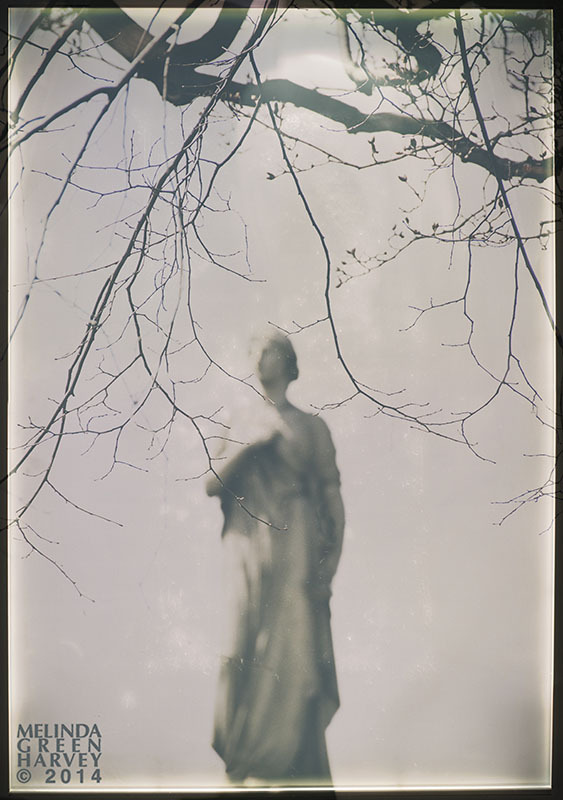 I have another version of the same statue where it was in focus and the branches weren’t. It’s not a very good shot.